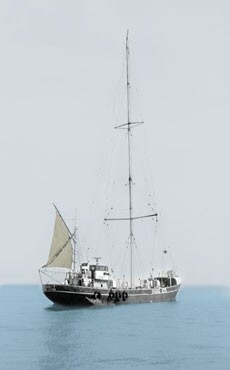 Pirate Radio 270 was launched on 1st April 1966, but problems stopped transmission until 4th June. Transmitting on 269 metres medium wave, the ship The Ocean 7 was the smallest of all the pirates, just 139 feet long! 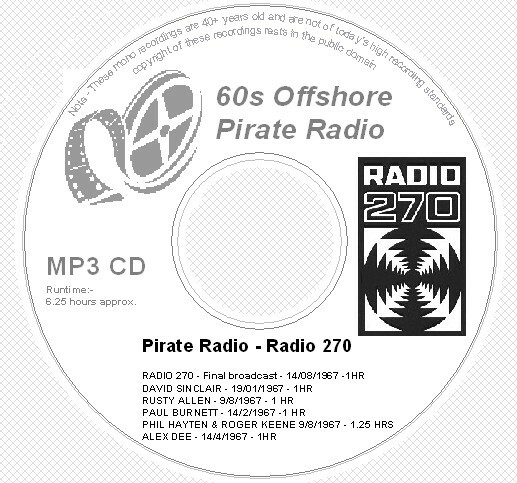 The Pirate Radio 270 CD plays for approx. 6.25 hours. These original broadcasts from Radio 270 were recorded via reel to reel tape in the sixties and have been enhanced / converted to MP3 format as technology has allowed - MP3 format plays on most modern CD players, Ipods, computers and most DVD players - Please check that you are able to play MP3 CDs before purchasing.